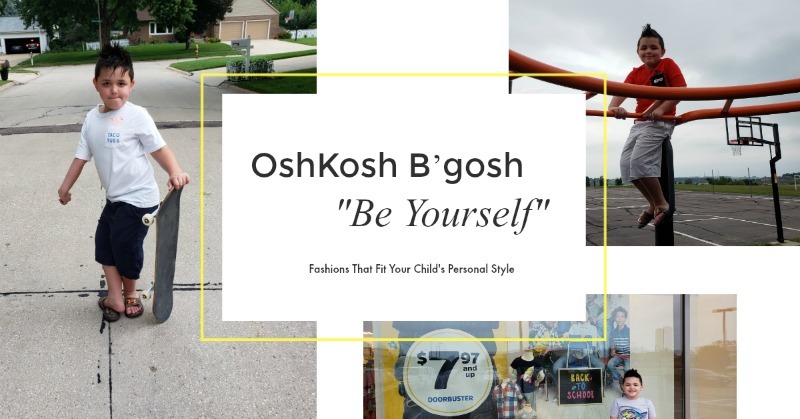 Are you ready for back to school? Well, we are… not! School starts oddly late here in Iowa and in fact, last weekend was our tax free bts shopping days. Lots of long lines and stressed out parents were among us. I just kept reminding myself that it is just another day not much unlike Black Friday. 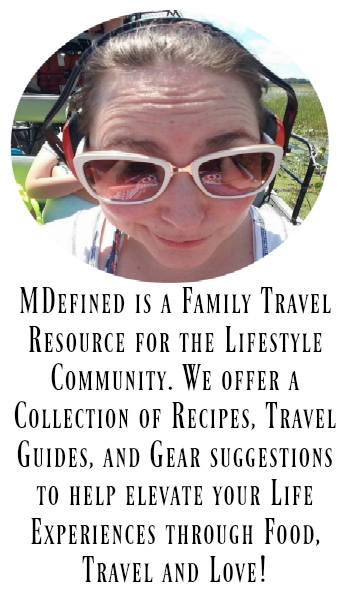 It is okay, you can laugh at my comparison. Even though it is so close to true. The main difference is with back to school activities, the kids are always in tow. It is like taking a Gremlin to the store with you. We feel your distress and have a yummy back to school snack recipe to make it all better. I mean if pizza + bagels don’t do it for you, nothing will. 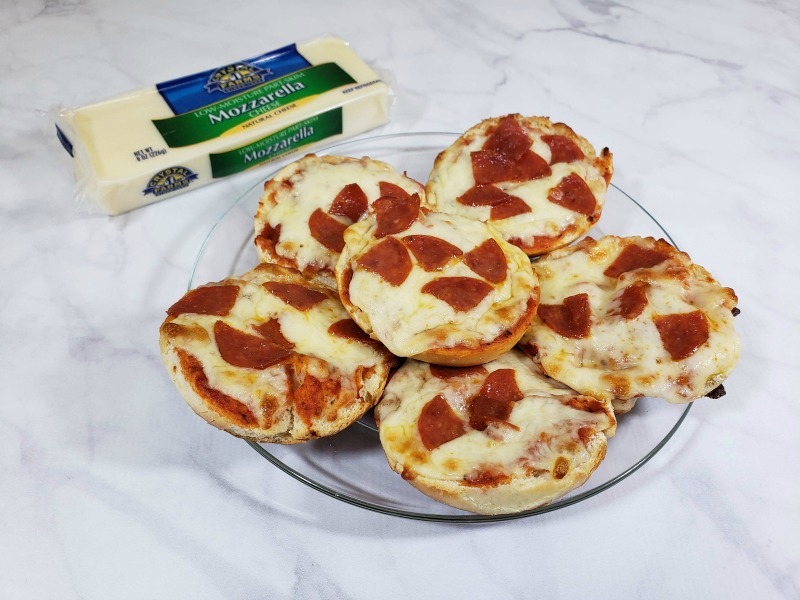 Homemade pizza bagel bites make with Crystal Farms® cheese are so easy to make at home. 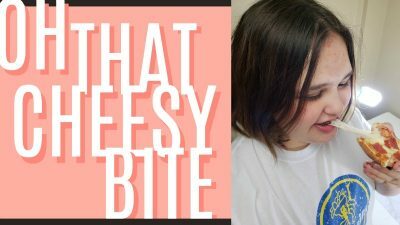 It is a good starter recipe to make with the kids to help create that opening conversation moment to ask how their day was. For us, pizza is a comfort food that helps thaw those bad days and brings us together at the table. Let’s start with the delightfully yummy eatable called Crystal Farms® block cheese, a natural product with few preservatives. 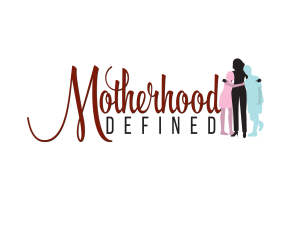 When not whipping up the family’s next meal, we suggest slicing the block up and sticking a few pieces in a zip bag to hide in your purse for those moments when you know that the momma bear is about to emerge. 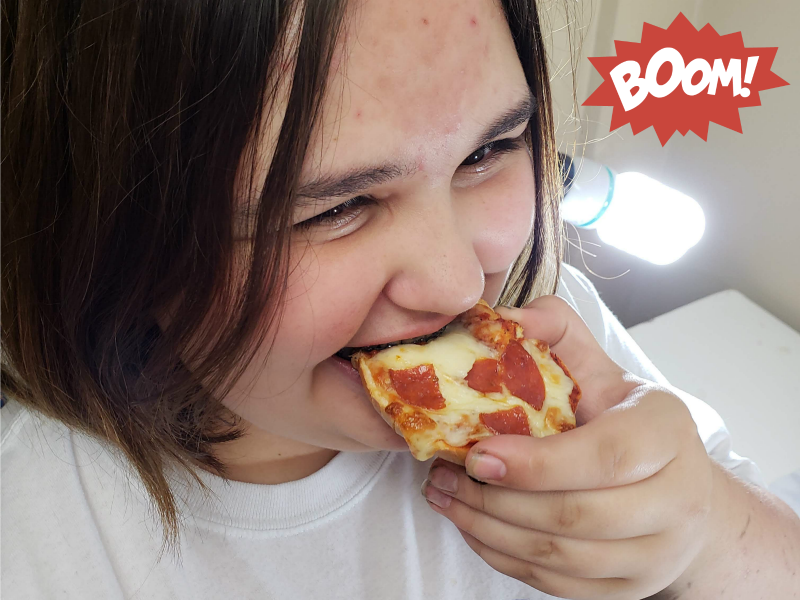 Pop a cheese slice in your mouth and sigh at the success of perfectly managing your grr mode and successful add a bit of calcium to your diet. Seriously, I need something to keep me sane in the drop off / pick up lane. It’s a Crystal Farms® moment for sure! 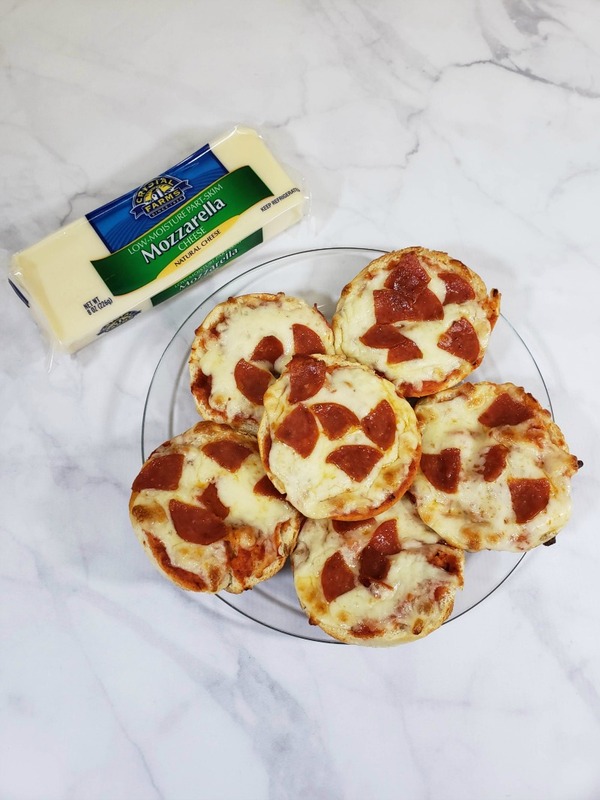 For the homemade pizza bagel bites, you will need a block of Crystal Farms® mozzarella cheese. Depending on how you prefer your melted cheese, you will grate it into the thickness of your choosing. We like to have a bit of the meat of it when you take a bite. A larger melted chuck of cheese if you please. So, we typically use the larger grate slot for this recipe. Though if you prefer a finer melt, do grate finely. Once you have your cheese prepared, pre-heat the oven to 450*. Take a baking pan and line with parchment paper or a silicone mat. 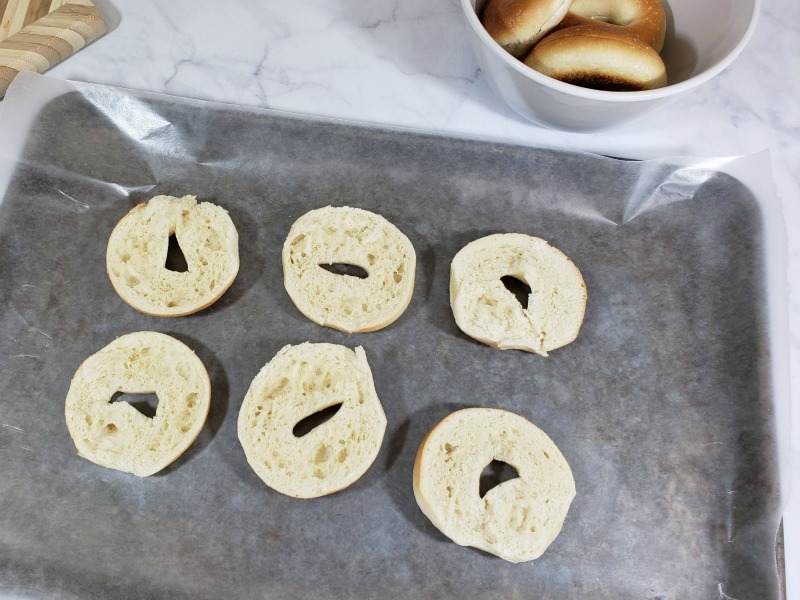 Depending on the brand of mini plain bagels, you will either pull or slice in half. Place with the outer side flat on the parchment paper. You will coat the exposed bagel with pizza sauce. This is Elliot’s favorite part. It is like painting a masterpiece with a basting brush that you can eat! Take note, food is art. Then sprinkle the Crystal Farms® cheese over the sauce. While the amount is clearly up to the creator, we suggest a lighter coating. Be careful to not allow cheese to fall to the pan as this will possibly burn and no one wants to scrape brunt cheese from the pan. 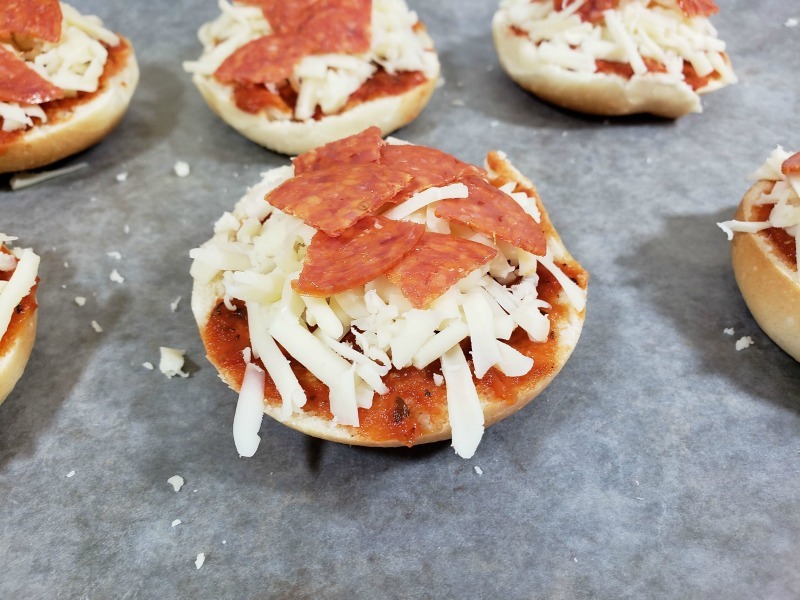 If you are preparing the pizza bagel bites with younger children, we suggest putting them together on a plate first, then transferring them to the baking pan before placing in the oven to cook. Finally, you will add your toppings. Nine times out of ten we will go with the traditional pepperoni. Though when feeling a bit out of the box, we will go with a margarita pizza adding chunks of Crystal Farms® mozzarella cheese, sliced roma tomatoes and fresh basil. For the pepperoni, the mini size is best. If your grocery does not stock this size, simply cut them into fours before placing on the prepared bagel bite. 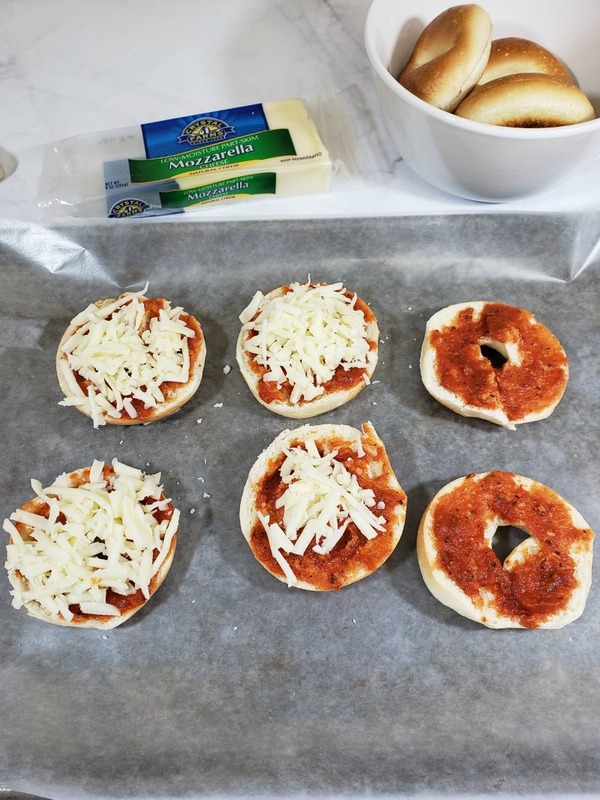 Now that you have your mini bagel pizzas ready, pop in the oven for about 8 minutes. Since every oven seems to be different, we suggest checking them at the 6 minute mark and every minute after until the cheese is melted to the consistency you like. We tend to let it brown just a bit before removing but it is truly a what makes you happy cooking time. Remove from the oven and cool 3-5 minutes before serving. Optional – add a bit of pepper or fresh herbs for added pizzazz! 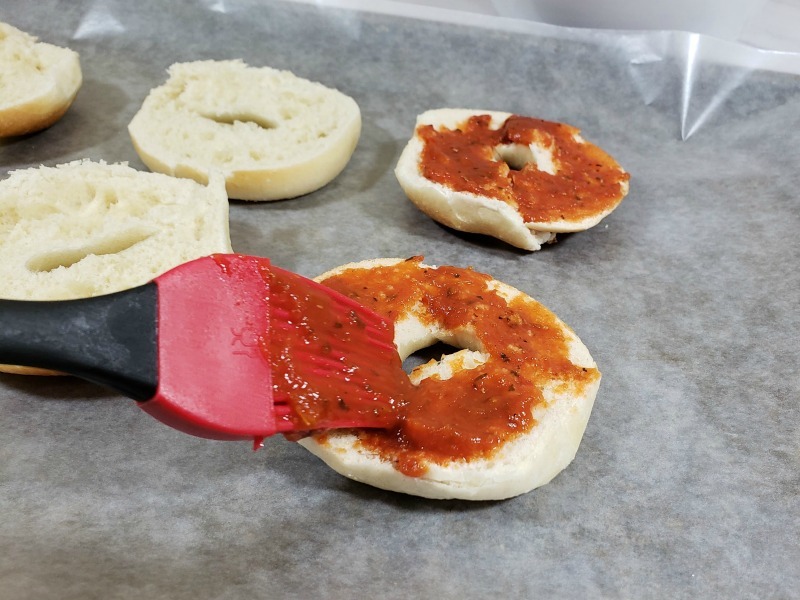 Spread sauce over top of the bagel. 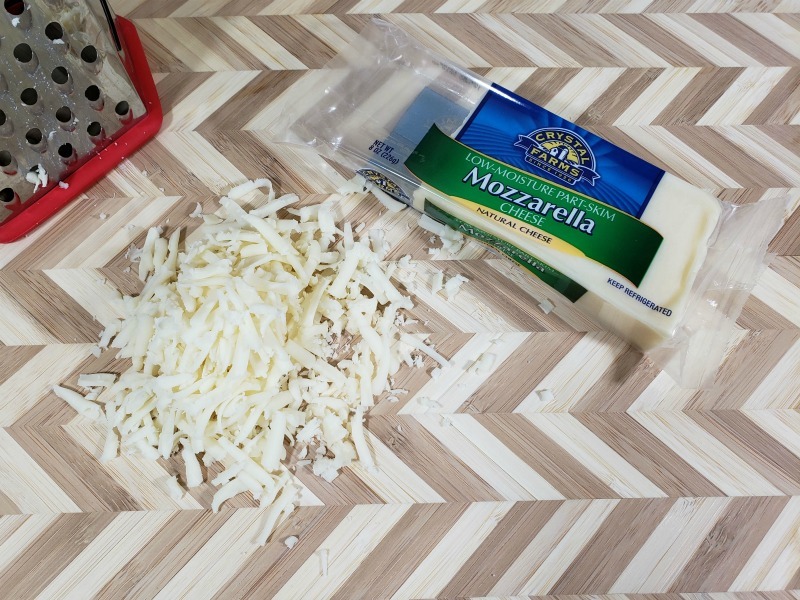 Sprinkle Crystal Farms® mozzarella cheese over the sauce. Top sauced bagel with pepperoni. Click here for more recipes with Crystal Farms Cheese®!